Florida's Premier Horse & Carriages for Hire! Wind Chase Farm offers horse-drawn carriage services of distinction for all kinds of special events, weddings, birthdays, proms, parades, funerals. & fundraisers. We offer over 50 combined years of carriage driving experience. Our magnificent horses are professionally trained & receive top notch care at our farm in Palm City. Our Carriages & Harness are all well fitted & expertly maintained by our knowledgable staff & kept in tip top condition. Licensed & Insured. ~ Owner/Driver is the 2015 United States Equestrian Federation's Gold Medalist! We are so happy that we chose to work with Wind Chase Farm for our event in Lakeland. This company provided two beautiful carriages and lovely horses for three hours of rides. Not only were the driver's competent and kind, they also made each guest feel welcome and special. We would absolutely work with Wind Chase Farm again for any type of event and are extremely happy with the service provided by Heather and her husband. Thank you Kelly and it was our pleasure to work with Avalon West Carriage Services at the Event in Lakeland as well. Your carriage was beautifully turned out and horses groomed perfectly and extremely well behaved. Its was tremendously rewarding to work with another class act! The BIG smiles on all those faces made the evening a wonderful experience and we look forward to working with you and your company another time! Hopefully soon! I made the best decision in hiring Wind Chase, their services were exactly and more than expected. The arrival was punctual and a great sight as the carriage and horses approached our home as well as the driver and Heather looked very fashionable. I highly recommend a ride and I look forward to making Wind Chase a part of our future family events, thank you! Thank you! It was our pleasure and we look forward to being a part of your future events! Best Wishes! I want to thank Wind Chase farms for being a part of my daughters Sweet 15(Quinceanera) She was truly a princess with the horse and carriage. It was lovely working with Heather and her crew they were so friendly, prompt, and easy to deal with they made every thing seem so easy. I would definitely recommend her company. Thank you! It was our pleasure to provide you with a bit of Magic! We can't wait to see your professional photos! Thank you! So happy we could provide you with a Prom Night Grand Entrance! It was our Pleasure! I was more than impressed with the service from beginning to end with Wind Chase Farm. 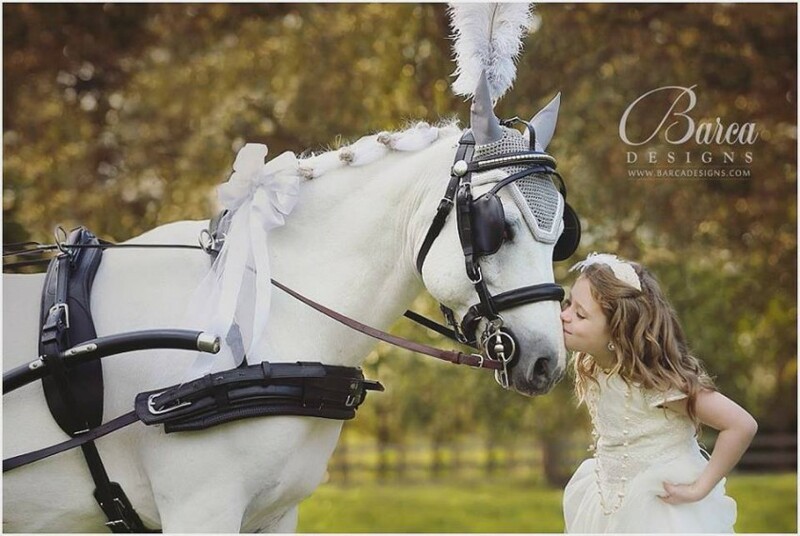 I hired them for my 4 year old's Princess Birthday Party, they coordinated with the princess that I hired, made plans to meet and took all of the stress out of planning for me, the children absolutely loved to see Cinderella arrive by her pumpkin "coach" with the beautiful white horses. All of the children got to take turns riding throughout my neighborhood in a beautifully decorated carriage, with amazingly groomed horses. 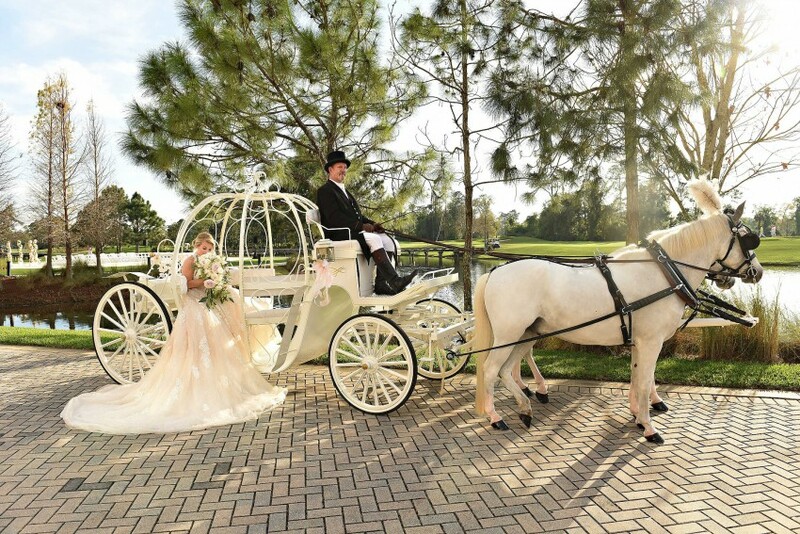 I would highly recommend this company to anyone looking to incorporate carriage rides as part of a special occasion. Heather and her husband were so accommodating and professional. Thank you so very much ~ it was our pleasure! Brooke and Marc we enjoyed working with you so very much and we wish you all the best for years and years to come! This company is A one. You guys are awesome you made my daughter sweet 16 magical. I thank you so much and the cost was very affordable. Thank you so much, we enjoyed surprising your daughter and being a part of the celebration! Thank you very much! We were delighted to be a part of your Grand Opening! We were so happy to be a part of your Big Day! Congratulations! The wind chase team braved very iffy weather and arrived in style! Beautifully appointed, Bonnie looked lovely and was perfectly behaved. Everyone enjoyed their carriage rides. I would highly reccommend this professional team. We held a photo shoot at Wind Chase Farm Combined Driving LLC and it was an absolutely fantastic experience! They were more then willing to accommodate not only our photographer but our subjects and they even allowed us to use their horse Bonnie, carriage and driver in full uniform in our pictures! We would definitely use them in the future for any purpose! Insurance: $2,000,000 - Full liability coverage at any location. Our Client can expect us to be on time, impeccably turned out, and willing to accommodate the Client in any way to make their special day portrait perfect. We provide a unique selection of meticulously clean carriages, floral decorations, and exquisite world class perfectly groomed horses. Our extensive carriage driving career and long list of 5 star reviews from very happy Clients ensures not only your safety, but a professional organized team to rely on for your perfect celebration! We look forward to working with you to create a memorable event! 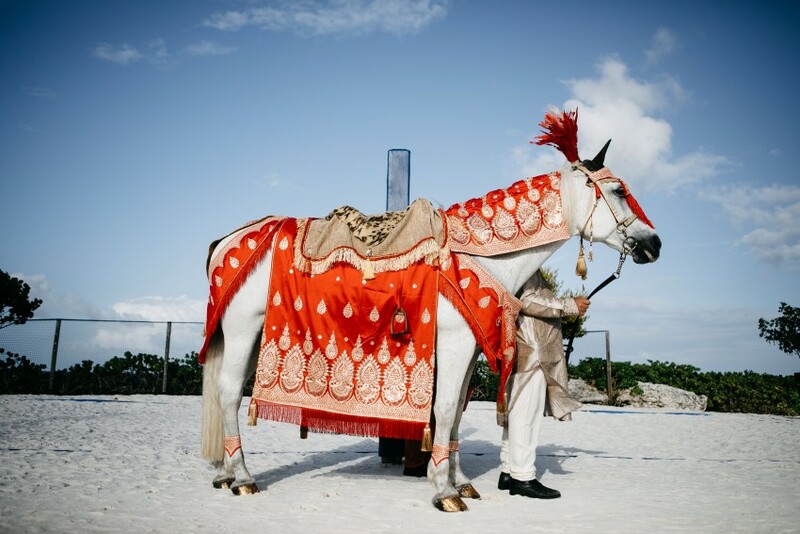 What makes us Florida's Premier horse and carriage for hire? Our Credentials speak volumes! and when we say "Gold Medal Service" well it really is! * Our presentation at all our events is a matter of personal pride, and we take extreme care in our appearance, apparel and conduct. * Our world class horses live here at our farm and are cared for by us daily. Humane use of our horses is paramount to us so they only work a few hours at a time, and their work consists of a few days a week. They receive top care from the best local veterinarians and farriers. They are meticulously groomed for each event. * We pre-drive all our events in our car prior to the scheduled event to ensure the safety of a propsed route for a horse drawn slow moving vehicle. We also address any and all humane issues for our horses. i.e. too long or steep of a hill, and/or excessive length of a route. *We pride ourselves on an elegant variety of traditional carriages. Our Carriages are not used for nightly tours and are kept in our climate controlled carriage house...... as we say fit for a Queen! * We offer custom silk floral arangements added to your carriage in your wedding colors to customize your carriages look and ensure you truly unique pictures. This is available at no additional cost. * Each of our Drivers have more then twenty-five years of carriage driving experience both for competition and commercial work and we always provide at least one experienced footman in addition to the carriage driver. The footman's job is to make sure that our horses are properly supervised, and tended to at all times. As a matter of public safety horses should never, ever, be left unattended for any reason. As a result of our extra efforts we have enjoyed a 100% perfect safety record on all our events. 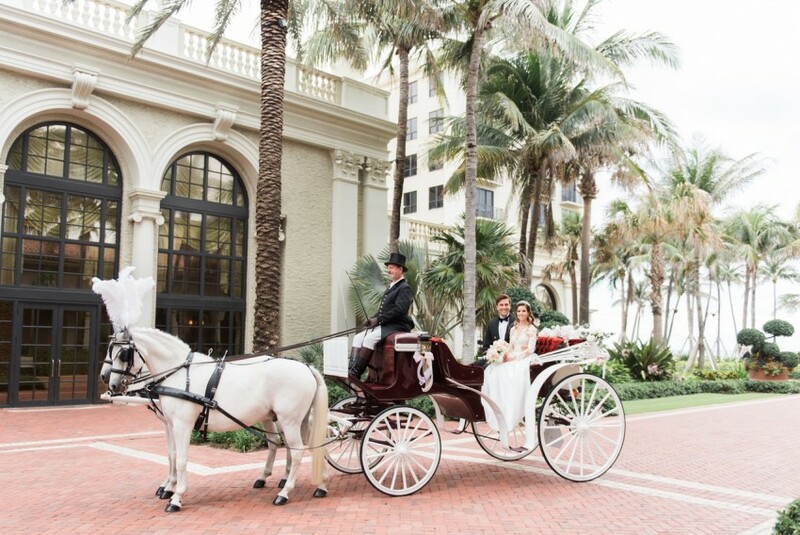 Our Carriage service is simply second to none! Wind Chase Farm prides itself on its 100% safety record! Safety for our horses and safety for all our passengers is paramount. We always adhere to the safety rules as listed in the American Driving Society Handbook, The British Driving Society and The Carriage Association of America's Driver proficiency requirements. The Driver should always be the first person to enter the vehicle and the last to leave. Passengers must never be left on the vehicle while the driver is dismounted. Furthermore, the horse(s) should never, ever be left unattended when attached to a carriage. If you see pictures of a horse or horses attached to a carriage without a driver in the seat of the carriage that should raise a red flag! Be sure to check that the carriage company you work with has YOUR safety in mind!